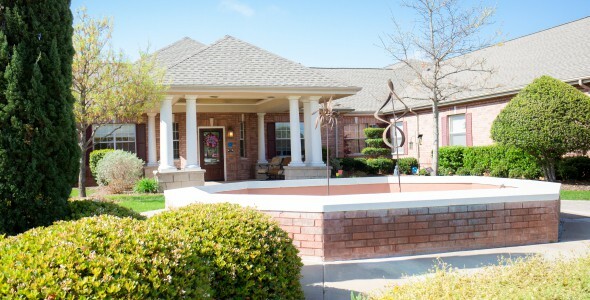 Autumn Leaves of Carrollton is a charming community with a relaxing secured courtyard. The staff are focused on supporting the individual needs of the residents by meeting them where they currently are in regards to memory and overall care. The community is very neat and cozy. The building is well maintained and the staff place the care of the residents first. The dinning experience is wonderful because the food is arranged according the needs of the residents. Staff are encouraging during meals and residents are excited about socializing over meals. The best way to get to know a community is by scheduling a tour. See the facilities, meet the staff and residents, and get a feel first hand what it's like to live at Autumn Leaves of Carrollton Memory Care. Memory care by design - this is what sets Autumn Leaves of Carrollton apart from other communities that offer memory care. Our community is specifically designed to provide a living environment that is ideal for seniors with Alzheimer's or dementia, with features that include themed neighborhoods and a layout that allows wandering without the fear of becoming lost. And we are also conveniently located near the Willow Bend Mall and the Baylor Medical Center for errands or medical visits. When joining our community, new residents can select a private suite, or if they would like to live with a friend, a semiprivate suite is available. Because we provide daily housekeeping services, along with personal laundry and linen service, the suite is always kept tidy and clean clothes are always in the drawers. Should help ever be needed, there is an emergency call system in the room and bathroom. Additional community features include a full-service beauty and barber salon and library, but the highlight of our community is the secured outdoor areas. Our three outdoor areas include walking paths lined with colorful flowers and a central courtyard where residents are often found enjoying sunny days or visiting with family. Through the Life Engagement program offered at Autumn Leaves of Carrollton, our residents receive personalized memory care engagement. What this means is they participate in activities that are designed around their interests, and we customize the day to ensure they avoid feeling anxious. And all aspects of our residents' well-being are addressed, including spiritual, physical and artistic needs. Our made-from-scratch meals are prepared from only the freshest ingredients possible. The culinary team creates meals that are visually appetizing and delicious which appeal to even the most reluctant eater, and we also offer finger food options for residents who prefer to wander and eat at the same time. When families select Autumn Leaves of Carrollton to care for their loved one, they are confident in their decision because of our committment to provide the best care possible.